The Bullet Train from Tokyo is coming from March 14th 2015! - Travel Tips to Nozawa onsen Japan! The Bullet Train from Tokyo is coming from March 14th 2015! 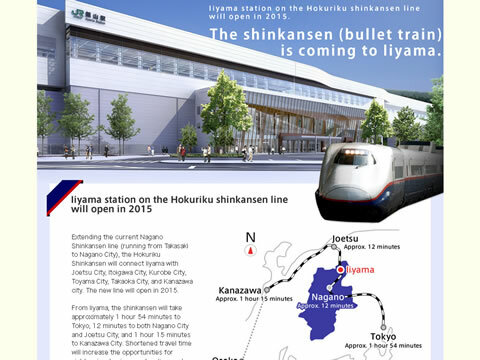 Extending the current Nagano Bullet Train (Shinkansen) and the new Iiyama station will open on March 14th 2015. It takes 20 minutes from the Iiyama station to Nozawa onsen so you can get plenty of time for a ski! We are happy to offering 15% OFF from March 15th to celebrate this! Check out our Online Reservation.